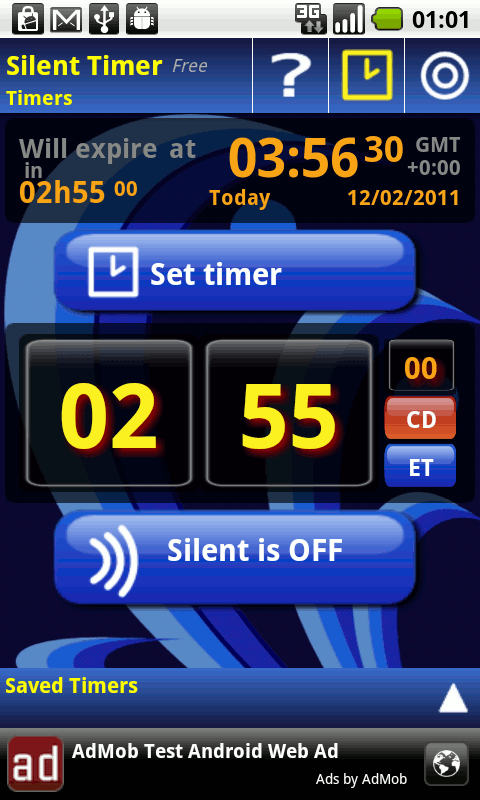 This is an application and widget to disable silent mode after a certain time. Useful for when you go to a movie and forget to turn off your silent mode afterwards. 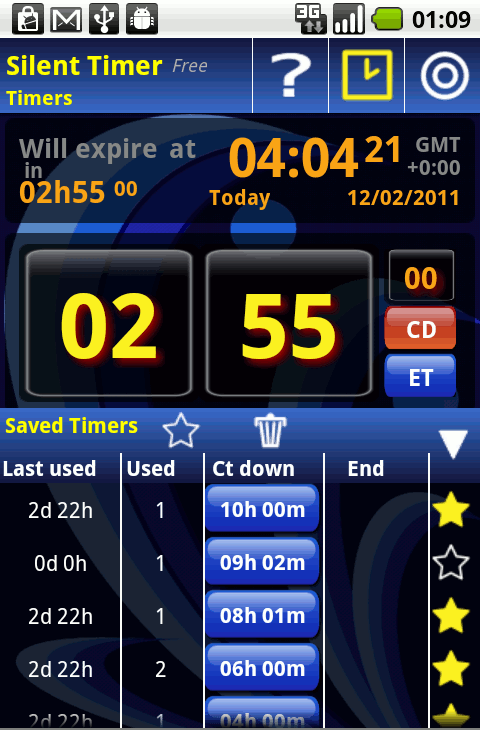 You can set a countdown or end time.